How do I become a Table Mesa provider? Start your journey to offering even better CE! Go to www.mytablemesa.com and click "Be an Educator". 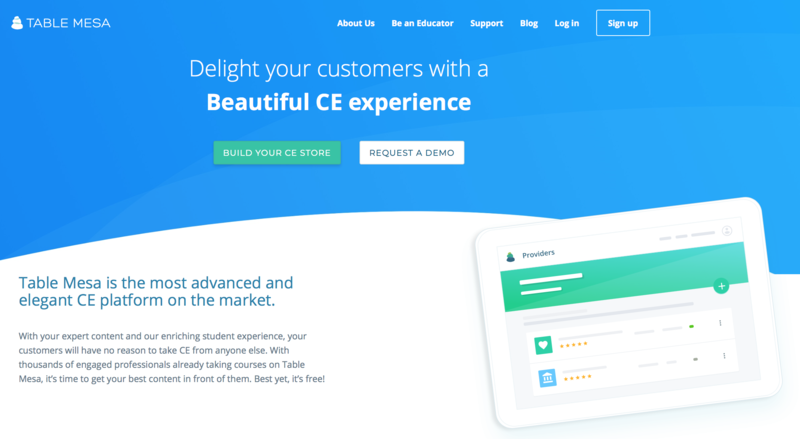 (A) Click "Build Your CE Store" to register and get started. (B) Click "Request a Demo" to see what Table Mesa has to provide for your CE courses! (C) You can also check out the remainder of this page to learn about how Table Mesa works and if it would be a good fit for you! Check out this video to learn more about how you can benefit by joining the Table Mesa community.